What kid wouldn’t want a chance to communicate with Santa from home. Sometimes sitting on his lap isn’t enough especially for fickle minded little ones who might change their mind a few times for their Christmas Wishlist. 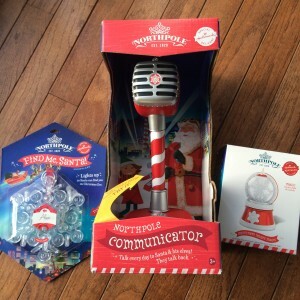 Hallmark‘s Northpole communicator is a fun device for kids to send messages to the Northpole and Hallmark also has a Northpole Find me Santa snowflake ornament that lights up so Santa can find them on Christmas Eve. You can also find these and many more Northpole items at yoru local Walgreens. Surprise we have a flash giveaway for both of these items on my Instagram page Mommytipsbycole now…be sure to check it out for rules to enter! Happy Holidays! 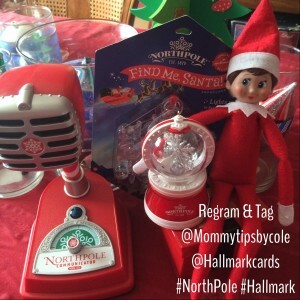 One Response to "Communicate with Santa with Hallmark’s Northpole Communicator + Flash giveaway"